It was only a few days ago that Atari announced it would start accepting pre-orders for the Ataribox on December 14 (today). However, reports now indicate that pre-orders are delayed indefinitely. Atari sent out e-mails to those interested in its new console saying it would not be taking pre-orders as originally planned. Apparently, some aspects of the retro box and streaming service are not ready. "Because of one key element on our checklist, it is taking more time to create the platform and ecosystem the Atari community deserves," the message said. 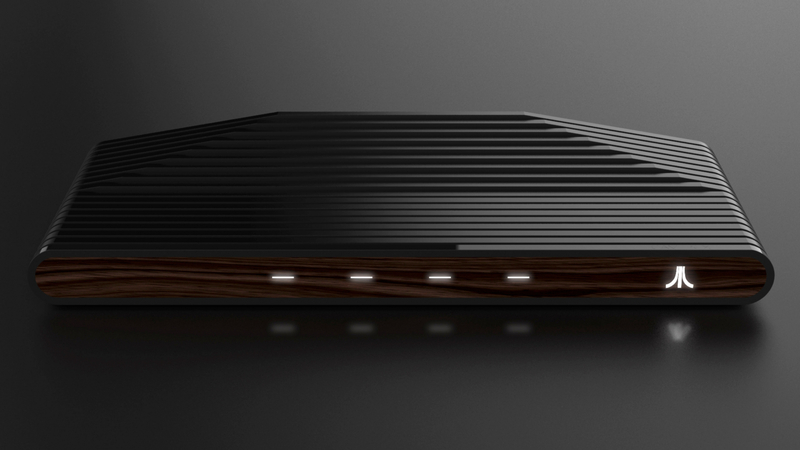 The Ataribox is looking to reboot the Atari 2600 and its games from the late 1970s and early '80s. Moreover, it will run on a Linux operating system, be capable of running new indie titles and will connect to the Internet to stream games. Although Atari’s e-mail was somewhat vague about what exactly was causing the delay, it does sound like it may have something to do with the backend of the streaming services rather than a problem with the console itself. The correspondence did not give a new date for pre-orders but did say they would be "updating the launch plan soon." CNET reached out to Atari for further clarification but did not receive a response. The console will be selling for $250 to $300 depending on configuration. Atari had previously sketched out a loose release date of spring 2018. If the delay does not set production back too far, we may still see a launch in late spring or early summer.